GoDaddy.com offers a few very interesting packages that are suitable for a diverse clientele ranging from individuals, smack businesses to large enterprises. Godaddy ensures a 99.9% uptime guarantee, 24/7 support at affordable pricing structures. These feature-rich plans require no setup fee, no banner ads or pop-ups, and no contractual obligations. Furthermore, all the plans include the Google webmaster tools. The Economy plan is the most basic and affordable hosting package offered by GoDaddy. For a period of 2 months, the package is priced at $3.99 per month. Similarly for 12 months, 24 months and 36 months; the plan is priced at $3.59 per month, $3.19 per month and $2.80 per month respectively. Other plan features include 5GB of space, 250 GB of monthly file transfer, up to 500 email accounts, 10 MySQL databases, 50 email forwards, Forums, Blogging, Photos and much more. Furthermore, economy plan customers get access to GoDaddy’s exclusive hosting connection. This comprises some of the most advanced hosting applications and utilities and gives the users an opportunity to interact with their fellow hosting customers. These premium applications further enrich and improve website hosting experience that facilitates a positive impact almost instantly. The SSL certificate is also offered at a fee of $19.99 per year. Moreover $20 worth of Google AdWords credit and $25 worth of Microsoft adCenter credit is offered. Upto 25 sub domains and unlimited external domains are also offered. In language support, ColdFusion is offered at $1.99 per month. Other language support features include Frontpage Server Ext., ASP, ASP.NET and ASP.NET AJAX. It allows 1 FTP user and other vital features like web mail, greeting cards, auto responders, catch-all email addresses, Virus and spam protection and email privacy and protection with 256 bit encryption. The general feature list includes site stats, firewall protection, file manager and much more. The pre installed applications are offered free of cost and these include MS IE Web Counts, WSE 2.0, ASPUpload 3.0, ASP JPEG 1.4, GUIDMaker and ASPCrypt. Various free add on applications are provided as well: Community Server 2.0, DotNetNuke 4.0, YetAnotherForum, Mochila, Simply Hired, ASP.NET 2.0 personal website starter kit, ASP.NET 2.0 club site starter kit and ASP.NET 2.0 Time tracker starter kit. GoDaddy further ensures its clients world class data center provisions in terms of daily backups, 24×7 monitoring, 24×7 email, telephone, and web based technical support and 24×7 physical security. The set up is completely free and constant FTP access is also offered. Top-of-the-line routers, servers and firewalls are other assets that GoDaddy proudly serves its customers with. Customers are encouraged to view, scan and carefully analyze each plan and then decide on a package that suits their budget and requirements best. The best part of GoDaddy services is that all their hosting plans are developed, run, maintained and supported in their very own facilities. So customers can be convinced of their reliability and credibility as a hosting provider. Hosting fee is non refundable. The GoDaddy Deluxe Plan is the second level plan offered under the Godaddy Hosting packages. As with all other hosting plans; the Deluxe plan too comes with 99.9% uptime guarantee, 24/7 support, Google Webmaster tools and many powerful features. The plan is fully compatible for both Windows and Linux users. The Deluxe plan is priced at $6.99 per month. Other payment options range from 12 months, 24 months to 36 months to cater for wide variety of budgets and preferences. The 12 month deluxe plan is priced at $6.29 per month, for 24 months the charges are $5.59 per month and for 36 months the user needs to pay $4.89 per month. 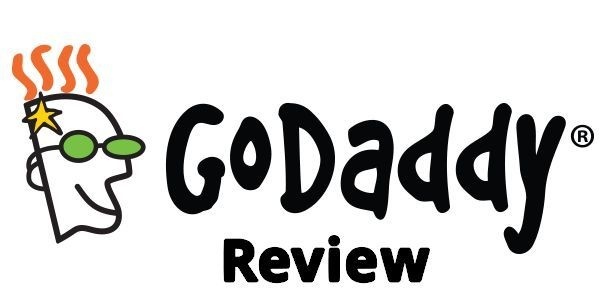 If this happens to be the user’s first experience with GoDaddy it is recommended to go with either the 1 month or 12 month package in order to get an initial feel and experience of their hosting services and products. Under the Deluxe plan, the customer is entitled to 100GB of space, 1,000GB of monthly file transfer and up to 1,000 email accounts. The best part of this plan is that it allows the user to host multiple websites with a single account, sharing the same disk space and bandwidth quotas. Up to 1 FTP user and 25 MySQL databases is allowed. Other essential features include unlimited email forwards, forums, blogging and photo galleries. GoDaddy offers its unique hosting connection under all plans which comes equipped with one of the most sophisticated hosting applications and utilities with quick and easy installations. The applications include content management tools, administration tools, advertising applications, blogs, E-Commerce solutions (osCommerce, Zen Cart), content providers, forums, image galleries, website add-ons, wikis and many others. Besides this, deluxe customers also get access to $25 Google AdWords credit and $50 Microsoft AdCenter credit. With the Google Webmaster tools, customers are able to see how their site is performing, diagnose problems Google may have accessing your site, share information to help Google crawl your site better and much more. This further enables the website to become more and more Google friendly. Other essential features include webmail, 290 greeting cards+ designs, mail forwarding, auto responders, catch-all email address, spam and virus protection tools, email privacy and protection with 256 bit encryption. Under the domains category, users get DNS management services, unlimited external domains, subdomains and multiple websites. Alias domains are also offered. The SSL certificate is provide at $19.99 per year coupled with site statistics, firewall protection, 24/7 phone and email support and file manager tool. The advanced language support features include Frontpage server Extensions, ASP, ASP.NET, ASP.NET AJAX. ColdFusion is also provided at $1.99 per month. The pre installed applications include MS IE Web Controls, WSE 2.0, ASPUpload 3.0, ASPJPEG 1.4, GUIDMaker and ASPCrypt. All these are offered free of cost. Besides these, free add-on applications are also provided. These comprise of Community Server 2.0, Community Server 2.0, YetAnotherForum, Mochila, Simply Hired, ASP.NET 2.0 personal website starter kit, ASP.NET 2.0 club site starter kit and ASP.NET time tracker starter kit. The Premium plan offered by Godaddy is the third level and the most advanced plan package for website hosting. It comes packed with an all-inclusive feature list and highly utilizable powerful tools, and is ideal for users who are looking for a more comprehensive and powerful package. For a one month period, the plan is priced at $14.99 per month. For 12, 24 and 36 month period, the plans are priced at $13.49, $11.99 and $10.49 per month respectively. The SSL certificate worth 19.99$ value is offered free of cost under this plan. 200 GB of disk space is offered to the premium customers and 2,000GB of monthly data transfer is allowed. Besides, up to 2000 email accounts and 50 MySQL databases are allowed to the premium clients. Furthermore, customers get the benefit of hosting multiple web sites within a single hosting account, sharing the same disk space and bandwidth quotas. Besides, Premium plan offers unlimited email forwards, $25 Google AdWords credit and $50 Microsoft AdCenter credit. Forums, blogging and photos are other additional features that can be accessed with the premium account. 1 FTP user is allowed and the other essential email features include web mail, greeting cards, forwarding, auto responders, catch-all email address, spam and virus protection as well as email privacy and protection with 256 bit encryption. The database features include MySQL database backup and restore, MS SQL database backup and restore and MS access. Besides this unlimited external domains, sub domains and multiple web sites are also offered. DNA management are also provided. The general feature list comprises of site stats, firewall protection, 24×7 phone and email support and file manager tool. Language support I offered in terms of Frontpage server ext., ASP, ASP.NET, ASP.NET AJAX and ColdFusion. ColdFusion feature is priced at $1.99 per month. Few pre installed applications like MS IE Web Controls, WSE 2.0, ASPUpload 3.0, ASPJPEG 1.4, GUIDMaker and ASPCrypt are offered free of cost. Other free add-on applications include Community Server 2.0, DotNetNuke 4.0, YetAnotherForum, Mochila, Simply Hired, ASP.NET 2.0 Personal Web site Starter Kit, ASP.NET 2.0 Club Site Starter Kit and ASP.NET 2.0 Time Tracker starter kit. Premium customers just like other the other two lower levels plans get access to GoDaddy’s exclusive hosting connection. Some of the most advanced hosting applications and utilities are offered under their plans which helps the website make the right impact as well facilitates quick and easy installations. The hosting connection also enables GoDaddy customers to interact with their fellow hosting customers and share their views, opinions and ideas. They additionally get access to administration tools, advertising tools, blogs, E-Commerce solutions like osCommerce and Zen Cart, content management tools, forums, image galleries, website add-ons, Wikis and much more. While certain applications are paid for, certain applications are operating system specific as well. The promotional advertising credit offered under all plans is good only to residents in the 50 United States and Washington D.C. The website also gives the users an overview of the comparison chart of all the plans for the customers to make a judicious decision. Godaddy offers a cost effective server control in the most convenient mode through its Virtual Dedicated Server plans. Users have the flexibility to customize as well as configure their very own dedicated server and moreover, GoDaddy makes the entire process very well organized and easy. In case of any issues or queries, users can rely on the expert and friendly service that GoDaddy offers to its customers 24/7. Furthermore, customers can be convinced that they are receiving 24/7 maintenance and protection in a world class data center and are associated with the biggest name in the web hosting industry. Customers can either choose a plan that suits them best or build their own Virtual Dedicated Server. Each Virtual Dedicated Plan includes “bandwidth overage protection” and 24/7 FTP access. Besides getting a free and speedy setup, customers also get access to free SSL certificate, free Google AdWords credit and Free Microsoft Ad Center credit. Customers can rely on the most high-end servers and routers. Users get 3 dedicated IPs, 24/7 physical security, network monitoring, email, telephone and web based tech support. The TippingPoint Intrusion Prevention System is also offered under all plans of this category. This is essentially an in-line device that scans traffic and, based on rules, determines whether data packets are legitimate or malicious. TippingPoint’s Digital Vaccine® service updates filters regularly to maintain defense against the latest vulnerabilities, viruses and rogue applications. All plans also include Linux: CentOS (4 or 5) or Red Hat Fedora Core 7. The first plan under option one is the “Preconfigured Economy Plan”. For a period of 1 month and 6 months, this plan is priced at $29.99 per month and for a period of 12 months and 24 months; the plan is priced at $26.99 and $23.99 respectively. Under this plan, the customer is offered 10 GB of disk space and 500 GB of bandwidth. The simple control panel is an integrated server manager that combines administration tasks into an easy-to-use Web-based interface. This enables easy management and set up of the server. An SSL certificate worth $19.99 is offered completely free of cost. Besides this, $25 worth of Google AdWords credit and $50 worth of Microsoft Ad Center credit is offered completely free of cost under this plan. The Linux: CentOS (4 or 5) or Red Hat Fedora Core 7 is also offered. The second plan under option 1 is the “Preconfigured Deluxe Plan“. His is by far the most popular and favored plan under the Virtual Dedicated Servers category. For a period of 1 month and 6 months, this plan is priced at $49.98 per month and for a time frame of 12 and 24 months, the plan comes with a price tag of $45.98 and $41.98 respectively. Under this plan; the user gets a disk space of 20GB and bandwidth of 1000 GB. $50 worth of Google AdWords credit and $50 of Microsoft Ad Center credit is offered completely free of cost. Similar to the first plan, the second level plan too comes with the Linux: CentOS (4 or 5) or Red Hat Fedora Core 7 and a simple and user-friendly control panel. A $19.99 worth of free SSL certificate is offered here as well. The third plan under this category is the “Preconfigured Premium Plan” which is the most advanced plan under option one of this category. It is priced at $99.94 per month for a period of 1 month and 6 months. For a 12 and 24 month period, the plan comes at $87.95 per month and $83.95 per month. The user gets access to 50 GB of disk space, 2000 GB of bandwidth and the cPanel: unlimited control panel. Users get “FREE” ad credit from Google and Microsoft worth $75 and $100 respectively. The second option under the GoDaddy Virtual Dedicated Server allows the users to build their own dedicated server. This plan starts at $29.99 per month and offers 10-50 GB of disk drive and 500-2000 GB of bandwidth. The free tools include the SSL certificate, up to $75 worth of Google Ad Words credit and $200 worth of Microsoft ad Center credit. The Excellent support system is the USP of GoDaddy services and 24/7 support is provided both by telephone and email. Callers can be convinced that their expected wait time for telephone support would not exceed 1 minute and email support is equally prompt with an expected response time of 1 hour max. The “Assisted Service Plan Option” under this plan saves the customer ample time and energy. The team of server professionals personally set up your virtual dedicated server to deliver maximum performance. Moreover, they are well equipped to handle select monitoring and maintenance issues that could otherwise be time consuming and cause resource depletion. The assisted service plan includes: Setup for Domain Name & DNS, Hosting Account, SSL Certificate (1yr. Free Turbo SSL included with server purchase), Resource Allocation and installation of operating system and Plesk control panel. Other services include backup services, security services, emergency services, patching services, monitoring services and custom support services. The Virtual Dedicated servers offer a cost-effective solution while delivering optimum performance levels and full control. The Pro Reseller Plan is the second level reseller plan offered by Godaddy and is known to have the best buy rates in the industry. Like all other reseller plans; the pro reseller plan too does not require any deposits, revenues or advances and comes with 24/7 product support for the customers. The ProReseller plan is priced at $199 per year and the reseller gets to earn pay-per-click commission on customers parked domains. The reseller can have his/her storefront live in just a matter of minutes. Furthermore, it features automatic billing and renewals for over 50 products. Resellers get a complete turnkey website which includes shopping carts and credit card processing features as well. Resellers additionally get access to email marketing and press release templates. An optional feature of marketing emails which are designed and mailed by GoDaddy are also offered under this plan category. This feature is optional and be accessed only if preferred by the reseller. Besides this, blogs, forums, podcast and live chat are also offered. The reseller is able to access and track the built-in advertising campaign. Moreover, a Google AdWords Credit worth $75 and Microsoft AdCenter Credit worth $100 is also provided to the Pro Resellers. Bonus software and extras worth $360 is offered completely free of cost. This includes the free tools like the traffic blazer, free express email marketing, Website Tonight, SSL certificate, Online File Folder, online profit and activity reports, marketing promotions in order to enhance profitability, Quick Start marketing guide and reseller handbook. Moreover, the plan comes with a 30-day money back guarantee in case the reseller is not satisfied with the features and services offered or wants to close his/her account for other reasons. With GoDaddy’s exclusive design wizard the reseller is able to design and customize text, graphics and links and wield control over many other features. The Traffic Blazer tool enables the users to analyze, prepare and optimize their websites to key search engines. With the Express marketing tool, resellers can contact customers in a spam-free and legal mode. The SSL secure certificate assures that the customers get safe transactions with the site which is 256-bit encrypted and secure. The Online File Folder gives access to all the essential files and even lets the user synchronize files on the computer. Resellers can even track their sales and earnings, domain names registrations, pending transfers and much more with the online profit and activity reporting tool. The handbook and guide is a valuable storehouse of informational tips and advice on promoting the reseller website. 24/7 support is also offered both by telephone and email. Resellers can expect a response by email within one hour of submitting a query or resolve any issues. The Microsoft Ad Center credit is only good for residents in the 50 Unites States and Washington D.C. The reseller can be assured of quality services in terms of promptness, support and courtesy as well as a distinct price advantage and powerful features. With the GoDaddy domain transfer facility; users can transfer domains as well as multiple domains and the process is completely risk free and fully automated. For multiple domain transfers, users get special bulk pricing structures. In case of any clarifications or issues related to the domain transfer feature, users are free to call the “transfer concierge” at 1-480-505-8866; available 24/7. Moreover, GoDaddy accepts transfers from any registrar and with GoDaddy’s rapid transfer system; the process may take 5 to 7 days or less. 3.Authorization or EPP code: (.com, .org, .net, .biz, .us, and .info TLDs only). It is important to take note of the fact that the domain name needs to be unlocked for the domain transfer to successfully take place. Furthermore, the administrative email address should be a valid one and the authorization code should be accurate. Members also get to save up to 70% with GoDaddy’s pricing as compared to their competitors. Private registrations renews at the regular renewal rate. The free blogcast tool is offered with every domain transfer. This implies that users are able to set up their blogs with user-friendly tools. Every new domain, transfer or renewal includes a free website hosting package that comes with professionally designed templates and a website builder. With every domain registration, transfer or renewal, users are entitled to the “complete email” feature. These email accounts are fast, secure and reliable. Moreover, they are POP3 configured and advertising free and much more. Users get a personalized email address with a 25MB storage. Users can be convinced that all domain transfers are completely risk-free and in case the transfer fails, the fee is completely refundable. 1.The domain transfer is purchased by the customer. 2.The domain needs to be unlocked and the authorization code needs to be retrieved from the current registrar. This step is vital in order to initiate the transfer with the gaining registrar. 3.The customer then receives an email from the gaining registrar which contains an ID #, key code and a link for transfer confirmation. 4.With the help of the ID and key; the customer confirms the transfer and may also require the authorization code from the losing registrar. 5.The losing registrar then receives a notification from the gaining registrar to transfer the domain. 6.The losing registrar then sends a confirmation for domain release. 7.The customer confirms release with the losing registrar. 8.The gaining registrar receives domain release from the losing registrar. 9.The customer is sent a confirmation email that the domain is located in their account. 10.Customer takes control of the new domain at the new registrar. 24/7 support is offered both by telephone and email. With the Godaddy dedicated server plans, the user gets optimum performance levels and great control as well as the flexibility to customize and configure their own dedicated server. The server is provisioned within hours and the user gets to choose from a variety of plan packages, thereby offering flexibility in features and budget brackets. With the Godaddy server, users get quality admin access with which they are able to install and run just about anything on the server. Furthermore, these servers enable the user to host multiple websites on a single server account as well as serve a wide variety of purposes such as gaming, virtual (i.e., shared) hosting, and hosting of traffic-intensive Web sites. Under the dedicated server category, the user has two essential to choose from. The first option enables the user to choose from 3 plans and select that best suits their requirement, expertise and budget. Under the second option; the users have the flexibility and control to build their own dedicated server. Under the first option; the first level plan offered by GoDaddy is called the “Preconfigured Economy Plan”. This plan is priced $79.99 for a time period of 1 month and 6 months. For a period of 12 months and 24 months; the plan is priced at $71.99 and $63.99 respectively. A disk drive of 1X120 GB, 500 GB of bandwidth and 1 GB of RAM is offered. Besides this, users get access to free features including an SSL certificate (worth $19.99 value), $50 worth of Google Ad Words advertising credit and $50 worth of Microsoft Ad Center credit. Furthermore, a simple control panel is also offered under this plan which is essentially an integrated server manager that combines administration tasks into an easy-to-use Web-based interface. The other features include the Celeron® 2.0GHz1 processor and Linux: CentOS (4 or 5) or Red Hat Fedora Core 7. The second level under this category is the “Preconfigured Deluxe Plan“. This plan comes with a price tag of $146.95 per month for a time frame of 1 month and 6 months. For 12 months it is priced at $132.26 per month and 24 months the charges are $117.56 per month. Under this, users get 2x 120 GB of disk drive, 500 GB of bandwidth and 2 GB of RAM. Other features also include CPU power (Pentium® 4, 3.0GHz), Linux: CentOS (4 or 5) or Red Hat Fedora Core 6 and Plesk 30-domain control panel. Furthermore, users get free advertising credit from Google and Microsoft worth $75 and $100 respectively. An SSL certificate worth $19.99 is also offered completely free of cost. The “Preconfigured premium Plan” is the third and most advanced plan package offered under this category and is available at $299.90 per month for a time period of 1 month and 6 months. For 12 months it is offered at $275.91 per month and for 24 months it is priced at $251.91 per month. Users get access to 2×300 GB of disk drive, 2000 GB of bandwidth and 4 GB of RAM. Besides this, they also get access to the cPanel (unlimited control panel), Linux: CentOS (4 or 5) or Red Hat Fedora Core 7 and CPU power (Core 2 Duo – 2.13GHz). Just like the other two lower levels plans, the SSL certificate is offered completely free of cost. $125 worth of Google Ad Words credit and $200 worth of Microsoft Ad Center credit is also offered to the premium members. ·Additional backups, such as script or scripts built for daily backups of specified files and directories. 24/7 technical, billing as well as sales support is offered by telephone and email support is also offered. The GoDaddy support system is known to be prompt and efficient and members can expect a response by email within 5 hours and by phone the maximum wait time is not more than 7 minutes. With GoDaddy being one of the biggest name in the hosting industry, members can expect peak performance levels while gaining control in the most convenient environment. GoDaddy offers the dedicated hosting IP in order to furnish the advanced hosting needs of the members. The dedicated hosting IP implies that a unique address is assigned to each web hosting account and is not shared with any other account on the same server. Dedicated IP addresses are usually used for large SSL-encrypted secure Web sites as well as for more dynamic websites or websites that receive heavy amounts of traffic. It enables the webmaster to set up SSL protection for their websites. The Dedicated hosting IP offered by GoDaddy is priced at $2.99 per month and requires a minimum time period of two months on its purchase. The dedicated hosting IP option should be considered if the user wishes to access their accounts by FTP and the Web in the event when the domain name is otherwise inaccessible, such as domain name propagation periods. This feature is also recommended if the webmaster wishes to create a corporate intranet, needs increased traffic for an enhanced response or if they want their website to be backwards compatible with older browsers. Dedicated IP can be added to the shared hosting account as well. To achieve his, the user needs to buy a dedicated IP credit, log into their accounts manager, and then select the hosting account list. Under the hosting account details sections, the user needs to select “Apply Dedicated IP Address” and you are done. Support is offered both by email and telephone. While there is no wait time when calling telephone support; users can expect a response time of 6 hours by email. GoDaddy offers the Express Email marketing service which is essentially spam-free and completely legal mode of email marketing. Users can take advantage of the email marketing features while staying clear of spamming and abiding to the latest rules and regulations; stipulated in the anti spam laws. What’s more? This service targets the audience and the email is only received by individuals or companies who are interested or have requested information on specific products and services. The first plan is the 500-Email/month Economy Edition (with surveys). This plan is priced at $7.99 per month for a per month plan duration. For plan durations of 12 months and 24 months; the plan is priced at $7.19 per month and $6.39 per month respectively. The second level plan is termed as the 2500 email /month Deluxe Edition (with surveys). This plan is priced at $12.99 per month for a per month plan duration. For plan durations of 12 months and 24 months; the plan comes at $11.69 per month and $10.39 per month respectively. The third level plan is called the 5000 email/month Premium Edition (With surveys). The plan comes at $19.99 per month a per month plan duration. Or plan durations of 12 months and 24 months; the price tag is at $17.99 per month and $15.99 per month respectively. If users prefer more emails; then add-on email packs in increments of 5000 are available and the price is $19.99 per pack. Users simply need to click the “Add More Emails” button to get this service activated. The service offers an opt-in magnet tool which allows the user to build a sign-up form where you invite individuals to join your subscriber list. This is a great tool for attracting new members and building a permission-based membership list. Every subscriber’s receives a confirmation email as well as an opt-out link if they decide to stop receiving any marketing emails. 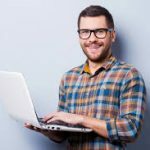 The service additionally offers an Image Library with more than 1500 images to help you create attractive and catchy emails. No designing skills are required. The best part of the service is the result tracker tool which helps the user track results of their email marketing campaigns with reports that reveal how many you sent, how many were opened, how many people responded and much more. The user is also able to perform surveys of their customer base. Support is available 24/7 by GoDaddy in order to resolve and address any kind of customer queries or issues related to GoDaddy products and services. Support is offered both by email and phone. The DomainAlert Pro service offered by GoDaddy allows the user to monitor any domain name changes, review the list of expiring domains as well as backorder domain names so the customer may purchase it as soon as it becomes available. This service intends to meet every customer requirement and is designed to suit various budgets. Furthermore, it includes a free membership to the Domain Name Aftermarket service. Customers have three plans to choose from and select a plan which best suits their requirement and budget. The first plan is the DomainAlert Pro Backordering. This plan is priced at $18.99 for each domain. Under this plan, if the domain name is already; the customer still holds a chance to own it. The user can backorder the domain name and snap it up as soon as it becomes available. The fee charged for this plan also includes the registration cost of the domain name and the ICANN fee. They also get access to free monitoring as well as the “Complete Email” service with every successful backorder and much more. The second plan offered under this category is the DomainAlert Pro Investor’s Edge. This plan is priced at $29.99 per month for a per month plan duration. For a plan length of 12 months and 24 months; the plan is priced at $26.99 per month and $23.99 per month respectively. Users get access to more than 95,000 fresh and expiring domain names. Also, they get to view umpteen number of soon-to-expire domain names and this data is updated on a daily basis. The third and the most advanced plan under this service category is the “DomainAlert Pro Monitoring” plan. For a 100 pack, this plan is priced at $5.99 per year. The customers get to monitor the domain changes registered by anyone at just about any registrar. Furthermore, they receive email notifications within just 24 hours when the changes are made. With this service, the customer is well protected as well as kept well informed at all times, 24/7. Technical, Billing, sales and customer support is available 24/7 both by email and telephone. Customers can expect a response time of up to 3 hours by email. The telephone support system, however, does not require any wait time and is preferred if the customer needs immediate and prompt assistance. The “Protected Registration” service offered by GoDaddy is an ideal choice or those who want to keep their domain private, locked and protected. An unprotected domain does not come with the expiration protection which means that if the domain name goes, all email services and websites associated with the domain stop functioning as well. With the protected registration process, the domain owner gets the benefits of all the required domain safeguards. The exclusive domain ownership protection includes expiration protection (protects you from credit card expiration, failed billing, or outdated contact information); Deadbolt Transfer protection (prevents accidental or malicious transfers from occurring) and Ownership Protection Reports (quarterly email updates helps the user keep track of vital domain information). With the expiration protection, the domain name is placed on an inactive, protected status with a parked page if the domain name is not renewed. In order to activate the domain, the domain owner would just need to pay the renewal fee. With the deadbolt transfer protection; GoDaddy locks the domain in the account thereby offering a heightened level of security. Under this service; the GoDaddy’s Private Registration and Business Registration services are offered as well. The Private registration protects the domain owner from spam, fraudulent activities by protecting all personal information from public view. The Business Registration service offers all the vital and highly valuable information related to the domain owner’s organization in the Whois database. This information includes map to the store, snapshot of the Web site, description of their business, phone number, links and much more. In totality; the GoDaddy Protected Registration offers the most advanced and secure domain ownership protection by keeping the domain name locked, private and protected. The service is priced at only $24.99 per year (inclusive of private and business registration services). It is important to note here that this service is not available for the following domain names: .us .ag .com.ag .net.ag .org.ag .asia .at .be .cn .com.cn .org.cn .net.cn .de .eu .fm .jobs .jp .ms .nu .co.nz .net.nz .org.nz .tc .tw .com.tw .org.tw .idv.tw .co.uk .me.uk .org.uk .vg. The Protected Registion feature is a wise option for those who prefer heightened security for their domain names as it protects them from letting the domain lapse unknowingly, expired or rejected credit cards, malicious or accidental transfers, outdated contact information, interrupted email access, personal information from being viewed, spam and email scams as well as expensive redemption fees. Furthermore, the domain owner would also get access to their key domain status details via a quarterly email statement. By paying the renewal cost of the domain, the domain can easily rescue the domain which has been inactive for 12 months or less. The Domain Protection can be added to existing domains and may not be available for certain domain names. It is a good idea to contact support in order to ascertain whether the domain name you have is entitled for the protected registration. Quality support is available 24/7 by email and telephone. With GoDaddy’s Traffic Facts feature; members can get to analyze and gain an essential insight into their website traffic statistics as well as access a detailed data that enables them to get targeted traffic or perhaps create more effective offers. By learning about visitor behavior and traffic patterns, webmasters gain the crucial insight that is required to succeed and enhance website profitability. “Traffic Facts” is priced at $2.99 per month and members can even save up to 15% when they multiple accounts. For 2 to 3 accounts, the price is $2.84 per month, for 5 accounts it is $2.69 per month and for 10 accounts it is available at $2.54 per month. To enhance flexibility, plan lengths range from 3, 6, 12, 24 and 36 months. All in all, traffic Facts equips the user with all the critical data and reports that determines the success or failure of a website. This way, the webmaster is able to avoid costly errors which would otherwise go unnoticed. It also enables them to focus and improve on their offerings and get targeted traffic, which is key to the success of any website. Furthermore, with the multiple account management tool, webmasters can review statistics of various websites from a single interface. Stats are updated every 30 minutes and with the conversion tracking system, they can ascertain if their online marketing strategies are delivering the expected return on investment. They also get to choose from three graphing options: Bar, Area, and Line for at-a-glance conclusions. The visit path reporting feature allows the webmaster to view how the website has been navigated by the customers.